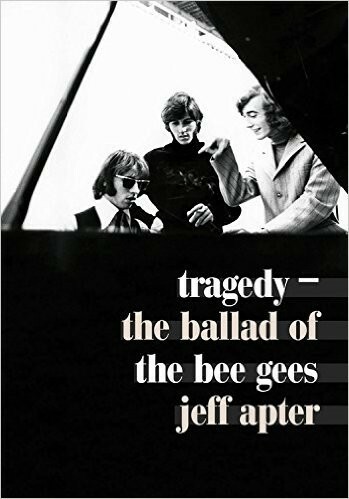 Jeff Apter has written a very entertaining book about the Bee Gees, one of the biggest selling bands ever. His engaging style and turn of phrase lays out the three careers of the BG. Firstly, the period up to the mid-seventies when the Gibb brothers had the hits such as 'New York Mining Disaster' and 'Massachusetts' before they lost favour with their early audience. The book tells how they had a small taste of fame in Australia before setting sail with Dad as their manager to the larger market of the UK. Marriages and excess took place even in this period, which are relayed quite candidly. The book charges on with the relaying of the second career of the BG. This was when they picked up, with the help of Atlantic Records, the Disco vibe and in effect reinverted the scene with the soundtrack to 'Saturday Night Fever' which is the biggest selling film tie-in ever with over forty million copies told. This was followed up by supplying the title song to Grease (sung by Frankie Valli) and the massive hit 'Tragedy' which made the band truly huge in that 77-79 period. The book also covers Andy Gibb's career from superstardom to bust in that same purple patch as the BG trio (by the way, the Bee Gees name came about by the initials of their early managers and Barry Gibb himself being BG – hence the BGs/Bee Gees). The post-Disco years are then covered, with the BG inventing themselves again with 'You Win Again' and being song-writers of choice for resurrecting the careers of Diana Ross and Barbara Streisand. The more sombre untimely deaths of Mo and Robin are covered with Barry being the last brother and still holding the flame.